That’s pretty much all I said for five minutes when Sani & Mike’s Chinese / Jewish (can I say ‘Chewish’?!) 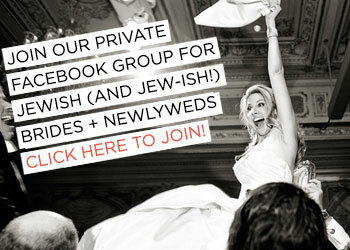 wedding landed in my inbox. 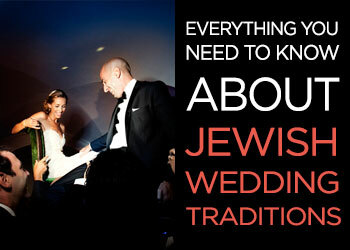 It’s the perfect first real wedding to kick off 2016 with as it epitomises the STG mantra of your Jewish wedding day, your way. 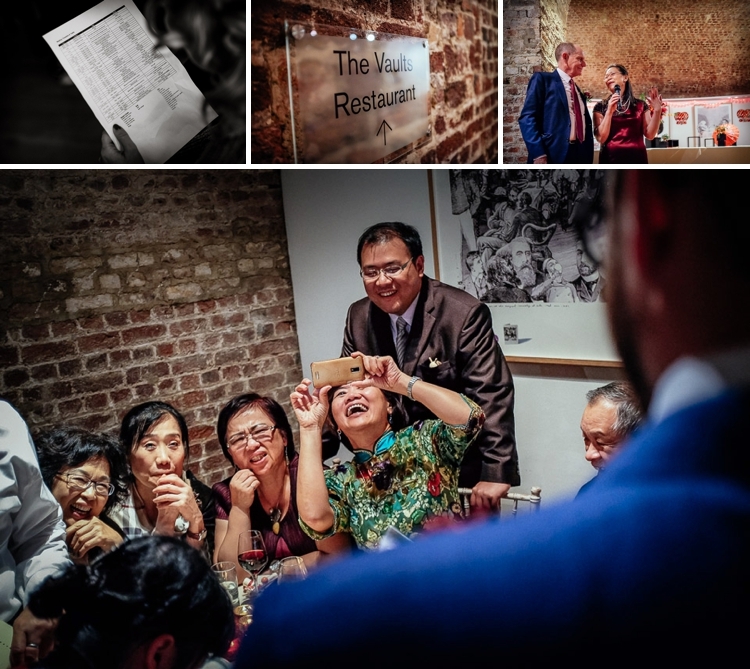 So for Sani & Mike that meant peking duck, Jewish wedding traditions, a Taiwanese tea ceremony, honey cake, table tennis, street feast food stalls, table tennis, a boat trip down the Thames, and so many more ideas that reflected them both. 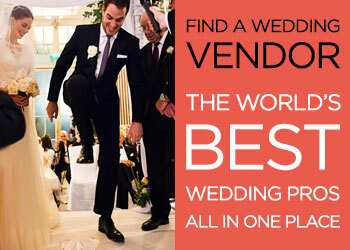 This is a particularly inspiring post for couples planning a wedding that combines two different cultures — it’ll give you the confidence to plan exactly the kind of wedding that feels right for you. On a frivolous note, Sani and Mike totally nailed their red colour scheme (red is the traditional colour of good luck in Taiwanese weddings) so if you’re looking to thread a specific colour through your big day, you’ll be inspired by lots of their ideas. Let me hand you over to Sani now for her full report, exquisitely documented by the hugely talented Andrew Billington, and wish ×ž×–×œ ×˜×•×‘ and æ­å–œ to the Bride and Groom! Sani, the Bride: Mike and I have been friends for years, having been introduced by mutual friends, just after university about eight years ago. We got to know each other through parties and mutual friends, but gradually got closer over the years, and then played in a band together which resulted in spending even more time in each others company. It definitely was not love at first sight and we used to genuinely annoy the hell out of each other and have massive shouting matches, storming out of rooms, slamming doors and calling each other all sorts of names! In fact, if you had told either of us four years ago that we’d end up marrying each other, you would have been declared mad and laughed out of the room. Mike and I both had different partners throughout our friendship but I guess all that bickering, winding each other up and arguing, spending so much time together, living on top of each other in the lead up to gigs and band recordings, resulted in a closeness which we then finally and very reluctantly realised was love. Needless to say, most of our close friends were not that surprised and if anything, relieved that all the public shouting matches have stopped since we got together! 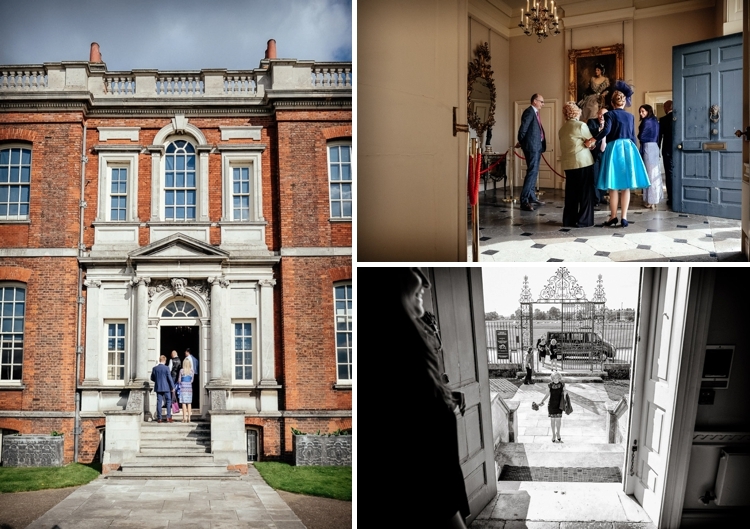 A wedding adventure through London, including a walk through Greenwich park, and a cruise down the Thames! 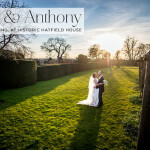 We knew that we wanted to have an unusual wedding venue, which would allow us to create a festival feel to the wedding, particularly as we did not want to have a formal three-course sit down meal, but ‘street feast’ style food stalls instead. We also needed the wedding venue to be somewhere along the Thames River, as we’d already decided that we wanted to get married in Greenwich, followed by a cruise down the Thames. 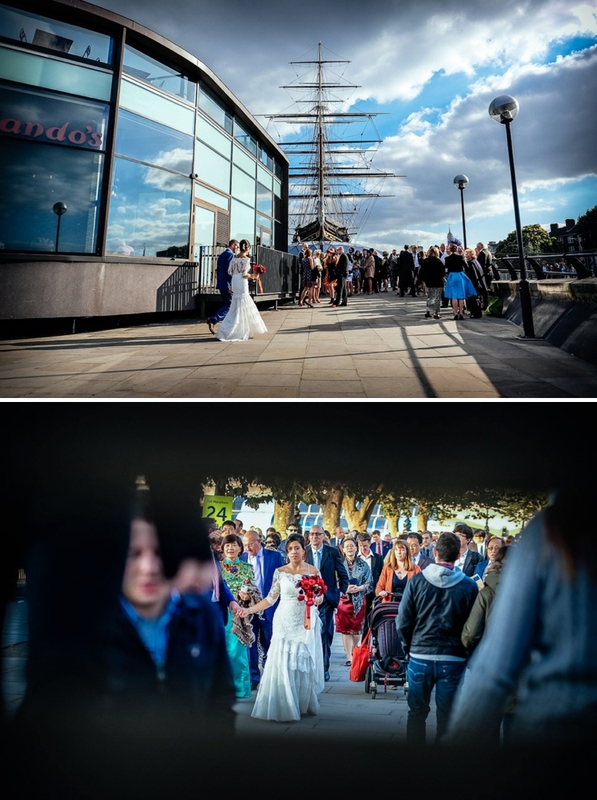 The whole theme of the wedding was supposed to be an adventure through London, including a walk through Greenwich park, the cruise down the Thames and then the evening party. I’ve always liked the idea of vaults and exposed brick and scouted for venues which had these features. However, when Mike and I walked down the stairs to the vaults at RSA House we instantly knew that this was the venue for us and we didn’t even bother looking at the other venues. 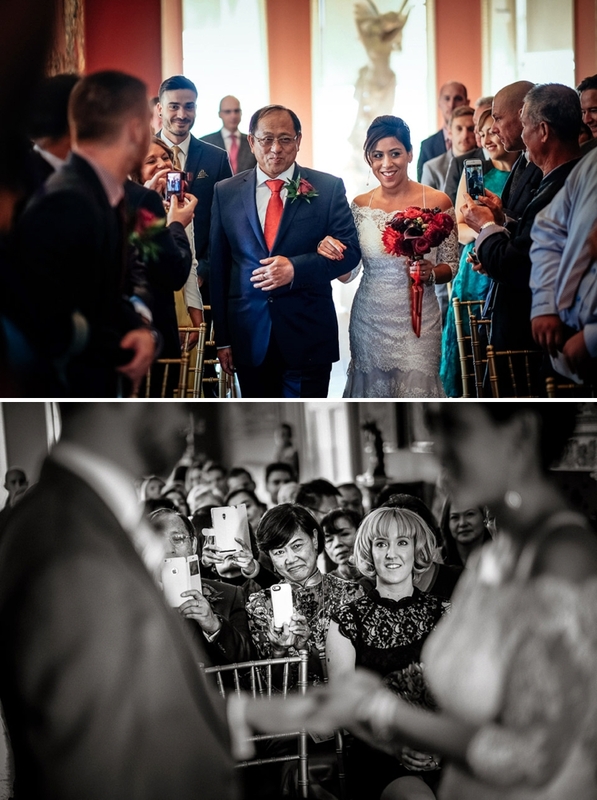 It was very important to us to combine both the Taiwanese and Jewish culture into the wedding, as my side of the family is Taiwanese and Mike is Jewish. 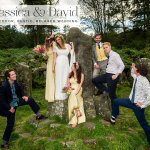 We really wanetd to showcase some of the traditions performed at a Jewish wedding, as well as Taiwanese wedding, which we did in the evening part of the wedding (lots more on this towards the end of the post). We did not have a formal seating plan and sit-down meal, but instead the RSA put on food stations for us, in street feast style, as well as bowl foods. In keeping with the theme, we had a Jewish and a Chinese food station. The food was brilliant and we received lots of positive feedback from our guests about the food. In addition to the food stations, we also had bowl food, which RSA staff were serving to the guests. We also had a table tennis table set-up in one of the vaults at RSA House for the guests. 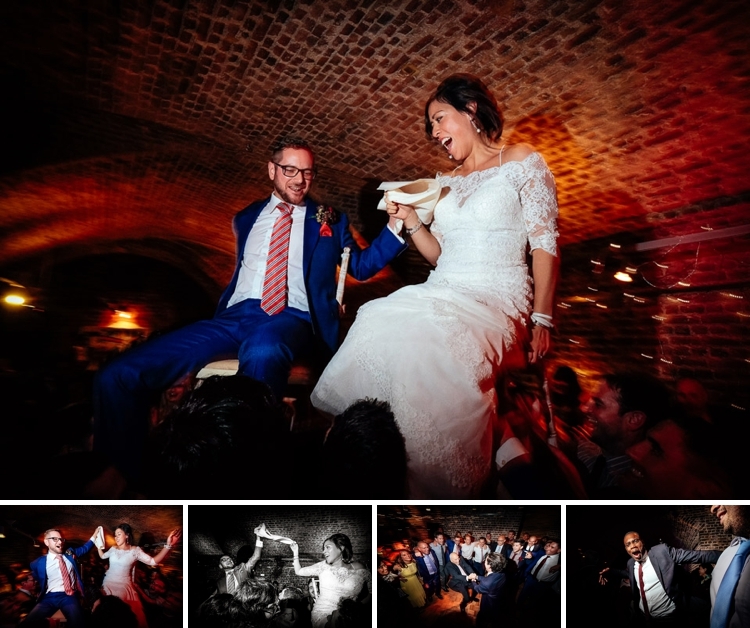 The idea was to have the whole evening be a bit of festival across the vaults, the guests could pick and choose what they wanted to do, be it singing on stage, dancing, playing table tennis, or watching England vs. Wales rugby on an iPad by the bar. We handmade all our wedding invitations individually, following the Taiwanese theme. I designed the invitations in powerpoint, with a backdrop of London (since it’s a London wedding) and we also made origami cranes for each invitation. The invitations also acted as boat tickets for the Thames cruise. We purchased traditional red envelopes when we were in Taiwan in May and put the invites into these envelopes, again, to follow the Taiwanese theme. Just like with heels, I’m equally useless when it comes to make-up. I don’t own any make-up, other than some mascara, eyeliner and one pod of eye shadow, which I get out about once a year. I wasn’t going to hire a make-up artist, until one of my friends, Katherine, gave me a bit of a lecture about how unacceptable it was for me to not hire a make-up artist for my wedding. Luckily, she is a professional model and was able to recommend me to her make-up artist friend and also hair stylist, or else I probably would’ve just ended up doing my own hair and make-up. 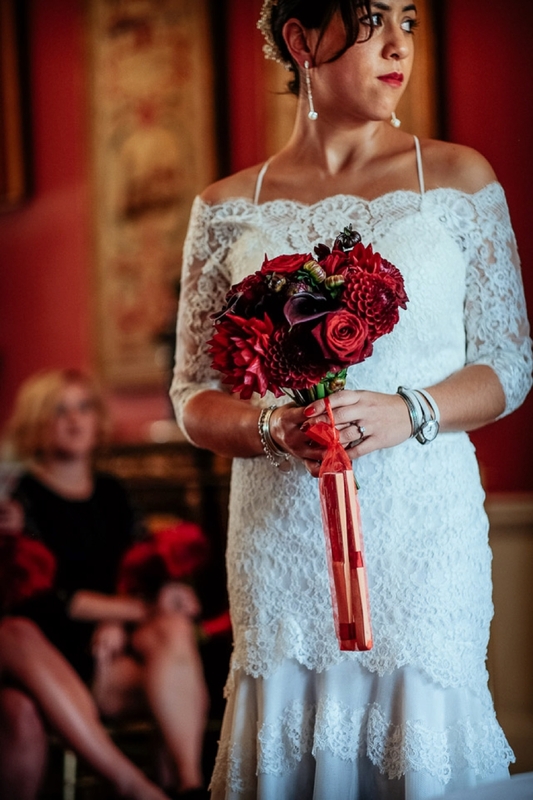 Sophia Price was perfect for me because she completely understood my need to keep my natural look, and not giving Mike a fright as I come down the aisle. 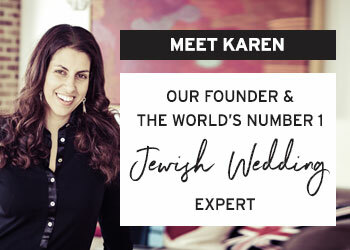 Similarly, I did not want to have a fancy hair-do, and Aaron from The Bridal Hair Specialists was amazing in creating a hairstyle, which looked fancy enough for a wedding, but comfortable enough for me. 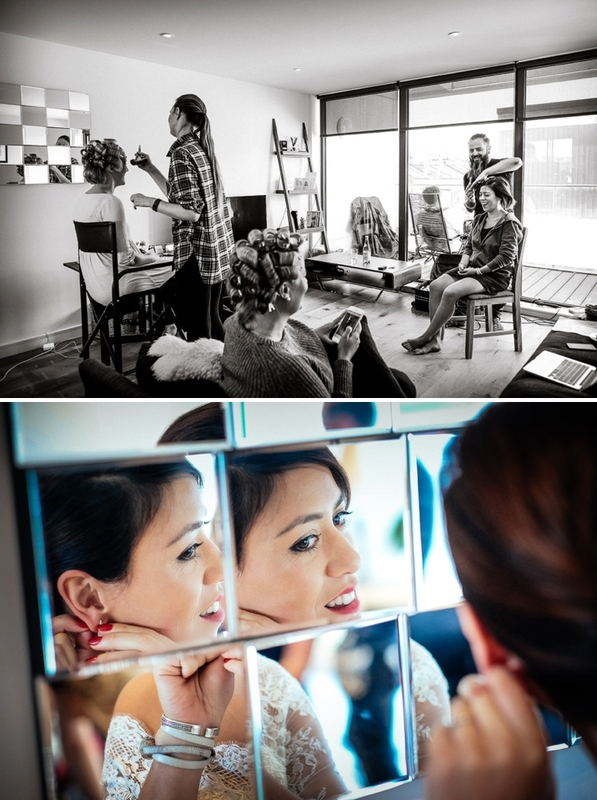 I’m so glad that Katherine convinced me to hire a hair and make-up artist because it just made the morning so much fun and more relaxing for my bridesmaids, as well as me. I’d been looking at dresses online and I always knew that I wanted a lace dress that was light and ‘flow-y’. I also wanted a dress that looked unique and not like a traditional wedding dress, as in, nothing fishtail or princess. From my research I came across Cymbeline and instantly liked their style of dresses, which felt very ‘me’. Mirror Mirror in Angel, London, is one of the few wedding dress boutiques which stocks Cymbeline, so I booked an appointment with them and took one of my bridesmaids, Emilie. I tried on quite a few dresses in that shop, but when I came out with the dress, Emilie just had that look on her face, like it was the dress (this is before I’d turned around and seen it myself). As soon as I saw myself in the mirror, I also knew it was the one. However, the original dress was very summery, with an exposed back and tiny straps. I always knew that I wanted an off the shoulder lace top with sleeves. The consultant in Mirror Mirror was amazing and fetched a lace jacket to compliment the dress. Once I put the jacket on it was the perfect unique dress, as we essentially altered it by adding the jacket, which was stitched on by the seamstresses. 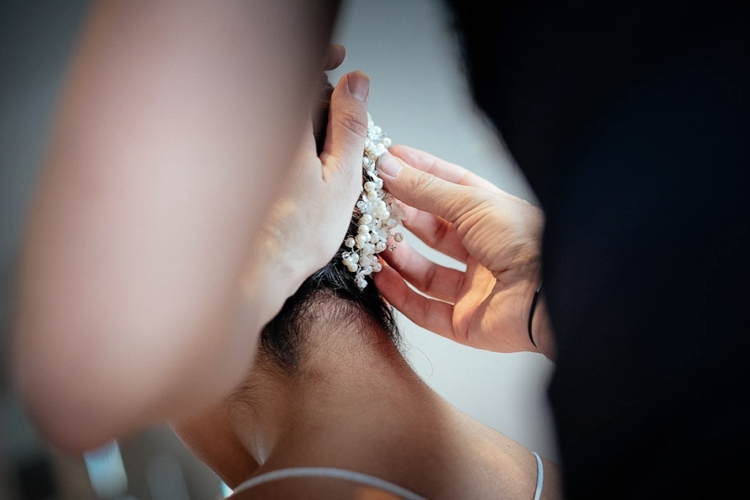 I had a little hair comb with pearls and white little flowers, bought from Mirror Mirror the week before the wedding when I picked up my dress. This was decided after my hair trial, with my hair stylist, Aaron, who came recommended by a friend. kitten heels for a ‘non-heels’ girl! I’m absolutely useless on heels and can’t walk on anything that is higher than a kitten heel and even then I can barely manage a night out. So I ended up with some very nice, but simple lace kitten heel shoes from Debenhams. Essentially, I just ordered about six pairs online, tried them on in the office with one of my bridesmaids, Kat, despairing at my inability to wear heels, and we settled on the kitten heels because Kat banned me from wearing flats. As you’ll see from the wedding pictures, despite only wearing kitten heels, Mike still had to give me a piggy-back on the last leg of our walk to the RSA because my feet were hurting! Mike and I had agreed that I would not be involved or get to see his wedding suit, since he wasn’t allowed to see my wedding dress. All I knew is that he’d had it custom made by Cad & The Dandy on Saville Row. 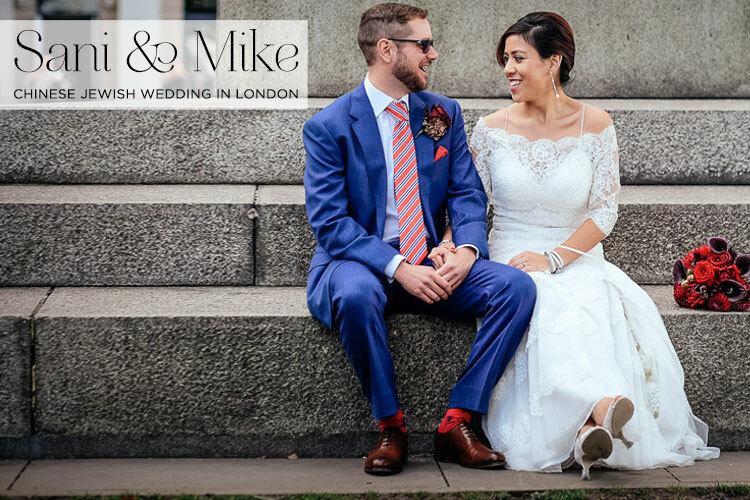 Knowing Mike’s unconventional style (our friends all have a running joke that he never wears a tie to other people’s weddings), I knew that it wouldn’t be a traditional three piece wedding suit but something unique which represents his character. 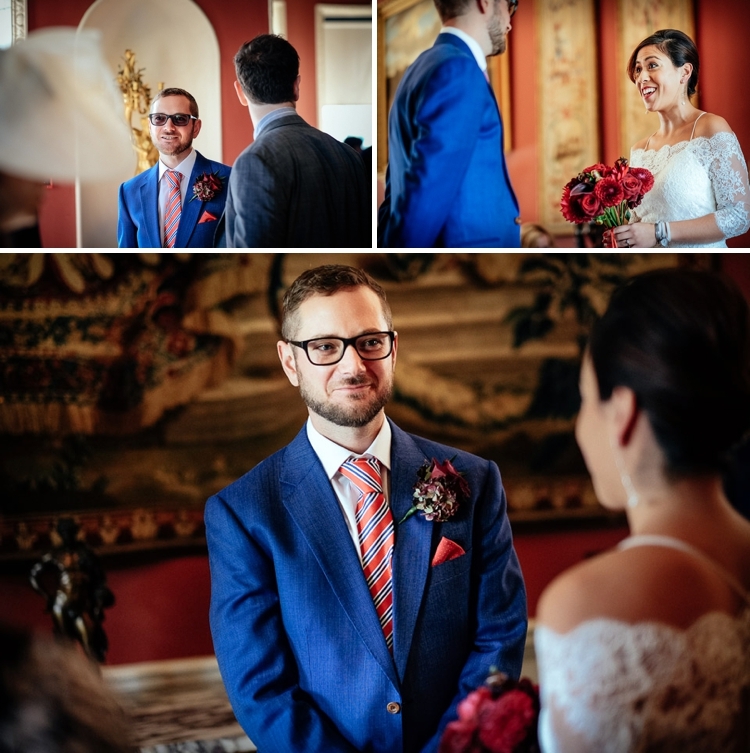 I absolutely loved the blue suit, which went really well with the dark red roses. It was also really nice that he picked a red tie to compliment the red theme we had going throughout the wedding. 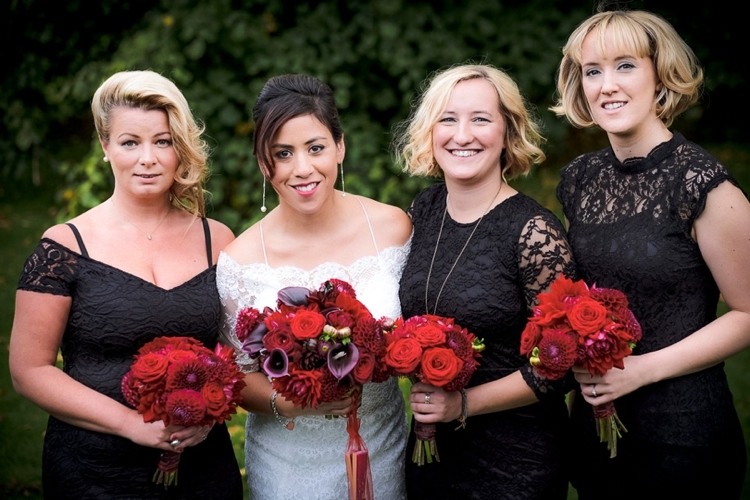 I had three bridesmaids and they all wore black, which we thought was quite cool and went really well with the dark red theme for the flowers. I did not like the idea of telling them what to wear and all three of them have different body shapes anyway. So we just collectively decided that black would be quite cool and would allow them to pick dresses they like and they can wear in the future. They all went for a bit of lace, which was wonderful, and Emilie’s dress actually looked quite Chinese, which just went perfectly with the overall theme of the wedding. For the music while the guests were being seated, we asked Dan, one of Mike’s uni friends, to play some acoustic guitar. Mike and Dan used to play music together a lot at uni and wrote quite a few songs together. Dan is an amazing guitarist and we felt that it would add a more personal touch to have him play some songs he’d written and anything else he wanted during and after the ceremony. Mike and I are in a band together, he’s the lead singer, and I play the piano / synthesizer. Mike and our lead guitarist, Lee, wrote a song together a few years ago, which is just guitar and Mike singing. The lyrics are very personal to Mike and I, so we decided to ask Lee to play that song (called Brown Paper Aeroplanes) for me to walk down the aisle to — without Mike singing. We printed the lyrics to the song onto the back of the order of the day cards. Mike and I wanted to keep the ceremony quite light hearted and swift. We kept it very simple and did not write any personal vows. We only asked one of our friends to do a reading. We were more interested in the evening part of the wedding, when we would be showcasing the Jewish and Taiwanese wedding traditions. 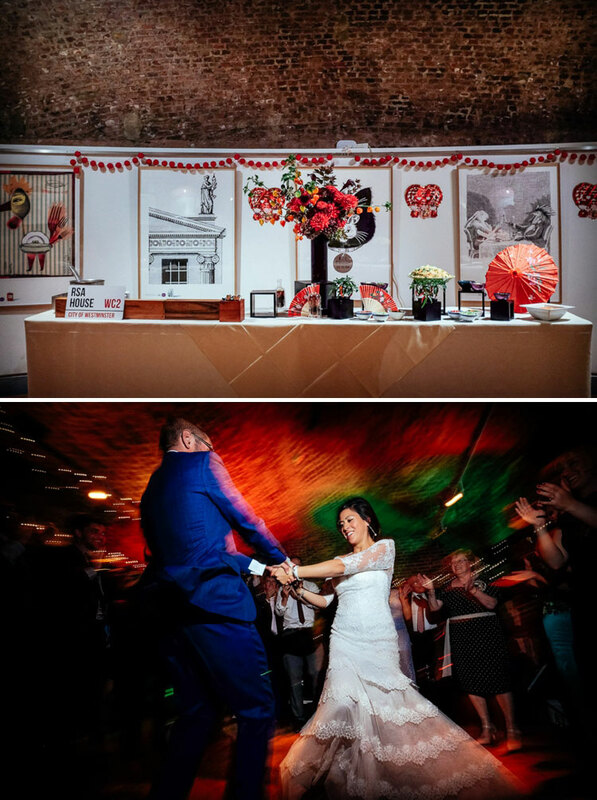 We wanted the wedding to be an adventure through London, which is why we picked the two wedding venues in the first place. From Ranger’s House, at the top of Greenwich Park where we held our ceremony, we walked our 80 ceremony guests all the way through Greenwich Park to the Cutty Sark Pier. The walk was just so much fun and we think all our friends really loved it too, because it was just such a unique experience. We were really lucky with the weather and you get an amazing view of Canary Wharf and the rest of London from the top of Greenwich Park, not to mention walking past the Maritime Museum, which is just the most gorgeous building. When we crossed the street from Greenwich Park, past the Royal Naval College, people in the park started to impromptu clap, which was just a proper goose bumping experience. We hired the Golden Sunrise boat for the trip up the Thames to RSA House. Again, this was just so much fun, going past iconic London landmarks, such as Tower Bridge. I’m really pleased that we had this idea and went ahead with it because all the guests just seemed to love it, especially those who’d lived in London for years (like us) but never bothered doing a Thames Cruise.. why would you if you live in London?! We disembarked the boat at Festival Pier, south of the river, which meant that we had to cross Embankment Bridge to get to RSA House. This was a little nerve wrecking because of the tourist crowds and so many people staring at us, but again just so much fun with strangers cheering and clapping. At this stage we had 120 guests who were walking down the Southbank with us, across Embankment Bridge, through Embankment Park, past Gordon’s Winebar (which has significance for a few of our friends) and towards theRSA House. Mike and I absolutely hate posing for pictures and it was very important to us to find a photographer who would just capture the wedding, without us or our guests being interrupted (other than for the family portraits of course). Finally we found Andrew Billington, just based on the interaction we had with him via email, and the look of his pictures, and he was absolutely perfect for us. As soon as we met him, we knew that we had made the right choice. On the day, he was like an invisible person, which makes it even more exciting to receive our set of pictures, not knowing what snaps he took. We were genuinely blown away by his pictures and feel very lucky to have found him. Flowers is again one of those things that I know nothing about and I honestly could not tell you what flowers I had on the day although I know that there were some dark red roses… We went with Gail from Gail Smith Flowers who came recommended by the RSA and she was just perfect, in terms of her personality, being really laid back and accepting of my total lack of knowledge and instructions for flowers. All I knew is that I wanted dark red flowers to compliment the Taiwanese theme. Gail was brilliant and completely understood what I was after. She sent me some ideas and I just trusted her to come up with something amazing for the day, which she did. I absolutely loved my bouquet and the bridesmaids were super chuffed with their flowers too. Gail created these amazing flower arrangements for the vaults, which had little Chinese lantern looking flowers in them and looked like Chinese fireworks. Mike and I are not that traditional and chose not to have a wedding cake. We just didn’t see the point of a cake. Instead, we wanted to offer our guests desserts, which represent both our cultures. So my mum and some aunties brought over traditional Taiwanese wedding biscuits and sweets all the way from Taiwan in a big suitcase! Mike’s mum and her friend Shane amazingly volunteered to bake enough Jewish honey cake to feed 120 guests. The honey cakes were delicious and we were really pleased to be able to give our guests something homemade. 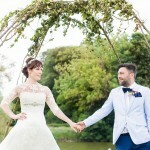 We wanted the wedding to be fun, with lots of stuff happening and things for our guest to do. Mike was in charge of finding a band and he came across a live karaoke band called Rockaoke in his research. 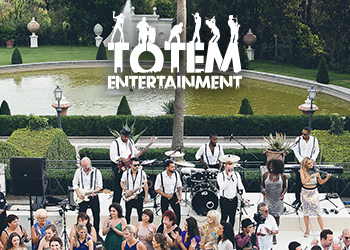 I instantly liked the idea and thought it’d be so much fun for the guests to be able to sing with a live band behind them. We were initially worried that it might be a bit cheesy, but after seeing the play list of the band, which was very indie, rock and funk focused, we decided to go ahead with it. On the night, it was just brilliant. Loads of guests went up and sang and we were even told afterwards that more people were interested in going up and singing, but unfortunately we ran out of time. 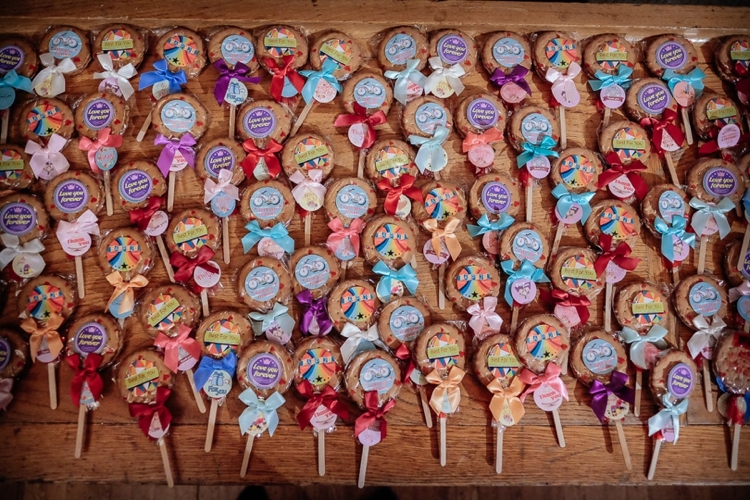 We had some traditional Taiwanese wedding favours, which Mike and I signed individually (many hours in front of the telly). 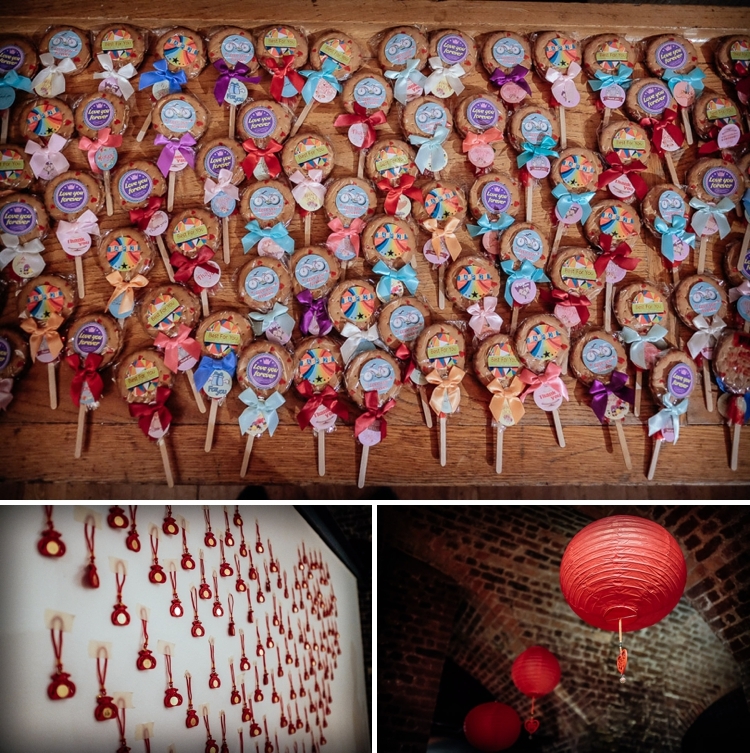 The wedding favours were little Chinese rabbit shaped rattle drums, which the guests could use to make quite a racket. Everyone seemed to really love them and they were used during the speeches, instead of clapping, which was nice. We also had some dreidels dotted around the venue for the guests to play with and take home. We felt that the dreidels were very fitting because they are traditional toys in both Jewish and Taiwanese culture. After all the food and before the first dance, we had one of Mike’s parents’ friends, Hugh, perform a little ceremony / showcase some Jewish wedding traditions with us. 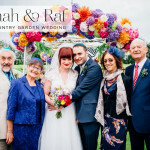 Whilst we did not have time to run through all the Jewish wedding rituals, Hugh delivered a beautiful speech, explaining the different types of ceremonies which are usually performed at a Jewish wedding. Hugh also gave a couple of blessings in Hebrew and then Mike performed the breaking of the glass. The majority of our friends are not Jewish and had never been to a Jewish wedding, which is what made this part of the wedding even more interesting for them, particularly for my Taiwanese family. All our guests afterwards said that Hugh’s speech was very interesting and it was nice to be given context and meaning to Jewish wedding traditions. The breaking of the glass was immediately followed by the chair dance, which we had not practiced before, so none of our friends had ever done it before and neither of us had ever been bounced around on the chairs. Needless to say, I was terrified but it was so much fun and all the boys definitely relished the opportunity to scare Mike and I. There are quite a few videos floating around facebook with me screaming my head off! The chair dance was then followed by some traditional Jewish dancing, which the boys absolutely loved. It was nice to see everyone really getting involved and again, it was very interesting for my family in particular. After all the Jewish dancing madness, Mike and I had our formal first dance to I Need Your Love So Bad by Fleetwood Mac, and the band went into their first set. I had long ditched my kitten heels by then and had been running around the vaults barefooted, ever since we arrived. During the break of the band, I got changed into a traditional Chinese dress and we showcased a Chinese wedding tradition, which is the tea ceremony, or serving of tea to the groom’s family. Similar to showcasing the Jewish ceremony, one of my mum’s friends, Peter, was talking the guests through the meaning and process of the tea ceremony, whilst I was serving tea to Mike’s family. Mike incorporated Chinese into his speech, which I did not know he had planned and my whole family was very impressed and touched by him speaking Chinese and specifically addressing my family for part of his speech. 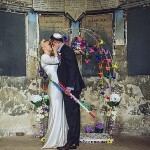 We were a bit worried about planning such an unconventional and slightly mad wedding. I was worried that guests may get tired from all the walking, not have enough seating, wanting to be served food, and that it was all a bit too much to have the programme going until 11pm (tea ceremony at 10.30pm, peking duck at 11pm). But, it was just really important to us that the wedding reflected both our characters and that we did what Mike and I wanted in terms of what we thought would be fun for us. You just have to hope that whatever you think is fun and exciting will also be fun and exciting for your guests too. Also, I was born and raised in Germany and definitely fit the stereotype of being uber organised and efficient. 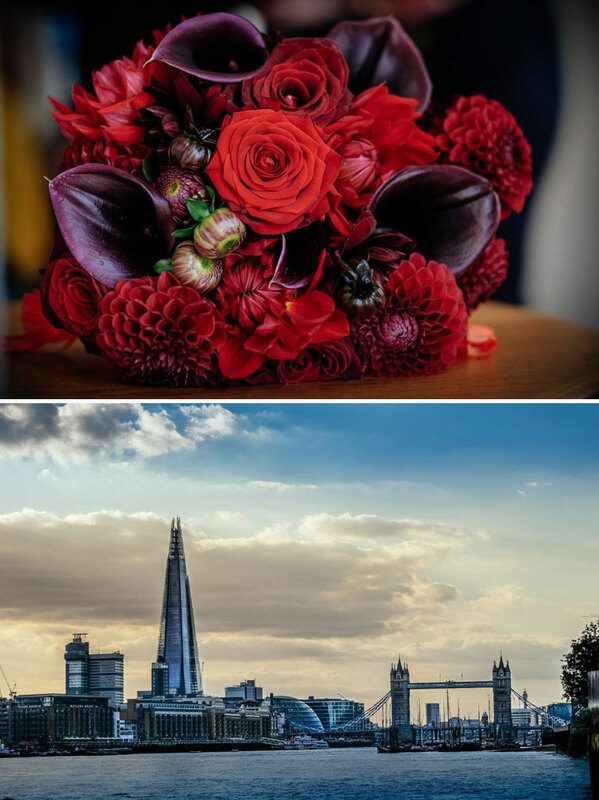 — a bit of German organisation never hurts, especially when planning a wedding that involves three venues, ushering 120 guests across London and an evening programme that doesn’t finish until 11pm. Kick your ushers into shape and Excel spreadsheet timetables are essential!